1.1 This website is operated by Advanced Basement Solutions Ltd. Throughout the site, the terms “we”, “us”, “our”, “vendor” and “seller” refer to Advanced Basement Solutions Ltd. Advanced Basement Solutions Ltd offers this website, including all information, tools and services available from this site to you, the “user”, also referred to throughout this document as “customer” or “purchaser” conditioned upon your acceptance of all terms, conditions, policies and notices stated herein. 1.2 By visiting our site and/ or purchasing something from us, you engage in our “Service” and agree to be bound by the following terms and conditions (“Terms of Service”, “Terms”), including those additional terms and conditions and policies referenced herein and/or available by hyperlink. These Terms of Service apply to all users of the site, including without limitation users who are browsers, vendors, customers, merchants, and/ or contributors of content. 1.3 Please read these Terms of Service carefully before accessing or using our website. By accessing or using any part of the site, you agree to be bound by these Terms of Service. If you do not agree to all the terms and conditions of this agreement, then you may not access the website or use any services. 1.4 Any new features, products, content or tools which are added to the current on-line store shall also be subject to the Terms of Service. You can review the most current version of the Terms of Service at any time on this page. We reserve the right to update, change or replace any part of these Terms of Service by posting updates and/or changes to our website. It is your (the customer’s) responsibility to check this page periodically for changes. Your continued use of or access to the website following the posting of any changes constitutes acceptance of those changes. 1.5 By agreeing to these Terms of Service, you represent that you are at least the age of majority in your state or province of residence, or that you are the age of majority in your state or province of residence. 2.2 The purchaser is the person or organisation paying for the goods. 3.1 The goods advertised on this website are displayed as an ‘invitation to treat’. 3.2 The offer to buy is made by the purchaser at the time of placing the order. 3.3 The vendor reserves the right to decline any offer to buy, if payment has been made this will be refunded in full forthwith in the event of the vendor declining the offer to buy. 3.4 Acceptance of the offer to buy is made by the vendor at the time of creating the shipping labels and notifying the purchaser of this by e-mail. At this point in time the contract to buy and sell between the purchaser and the vendor is formed. 3.5 Our acceptance of any offer to buy goods on this website is expressly limited to these terms and conditions. 4.1 Where goods are to be delivered to, or subsequently provided to or installed for a third party (i.e. someone other than the purchaser) there will be no contractual or other rights conferred to the third party. Any issues arising under the contract including, but not limited to, warranty claims, disputes, cancellations, amendments and returns must be made directly by the original purchaser. 5.1 Whilst the vendor endeavours to ensure that product descriptions and illustrations are accurate and up to date, the vendor reserves the right to amend minor product specifications without notice. In the event of such minor changes all goods supplied will be of equal or higher quality as those advertised. Where changes are of a substantial nature the customer will be informed before dispatch and the opportunity to cancel or amend the order will be given to the customer. 5.2 Occasionally there may be information on our site or in the Service that contains typographical errors, inaccuracies or omissions that may relate to product descriptions, pricing, promotions, offers, product shipping charges, transit times and availability. We reserve the right to correct any errors, inaccuracies or omissions, and to change or update information or cancel orders if any information is inaccurate or out of date at any time without prior notice (including after you have submitted your order). 6.1 We reserve the right to amend prices of any or all goods and / or services offered on this website without prior notice. 6.2.1 When a price quotation has been provided ahead of a potential order being placed, the prices quoted will be honoured, subject to the aforesaid, for a minimum period of 28 days from the date of that quotation regardless of any interim price increase on this website. 6.2.3 Should a customer find identical goods available for delivery to their order shipping address on offer to the open market at any time up to 7 days after completing their order on this website and at a lower price (including shipping) we offer to refund the difference between the price paid to us and the lower price on offer. Any customer wishing to make a claim under this term must notify us by e-mail to support@absorders.com within the seven day period following completing their order ln this website. Any refunds made under this policy will be made a soon as reasonably practicable after verification by us of the price and availability of the alternative goods. 7.1 All shipping times advertised and quoted on this website are estimates. 7.2 The number of days quoted refer to working days (Monday – Friday inclusive). 7.3 Day one of any shipping period will be the working day following the date of the order being completed. Any orders paid for after 5.00pm (east coast time) will be deemed to have been completed on the next working day. 7.4 Any changes to the order made by the customer will result in the first day of the shipping period being re-set to the first working day after the changes have been made subject to the 5.00pm cut off time. Any such changes must be requested by e-mail to support@absorders.com or by telephone to one of the numbers advertised on this website. 7.5 Where a customer opts to pay for expedited shipping and the goods are delivered later than the advertised period the difference between the expedited shipping charge and the charge for the achieved shipping period will be refunded, subject to the customer notifying the company of the late delivery within 14 days of the original due date for delivery of the goods. Such claims must be made by e-mail to support@absorders.com. 7.6 For the purposes of achieved shipping date the date of the first attempted delivery will be used as recorded in the tracking information on the courier website. 8.1 The vendor warrants that the goods will be delivered free of manufacturing defects and / or damage in transit. Subject to our returns policy – see below – the vendor will replace or refund any such defective / damaged goods. The choice between replacing or refunding to will be at the vendor’s discretion. 8.2 Where goods are to be replaced due to loss or damage in transit it is the vendor’s policy to replace such damaged or missing goods without delay and to not wait for an outcome of any claim or search by the delivery company. 8.3 The vendor makes no warranties, express or implied as to the suitability or performance of the goods for a particular project, it is up to the customer to determine the suitability of the goods that they are buying for the project that they intend to use the goods for. 8.4 Whilst the vendor offers free expert technical advice, this is given in good faith and without the benefit of seeing the property where the goods are intended to be installed. Such advice is freely offered without liability for losses or damages consequential or otherwise. 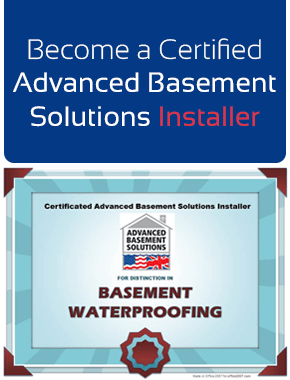 8.5 We specifically advise that our basement drainage systems are designed for installation in basements which have a separate floor slab / Footer, aka strip footer, they are not suitable for structures with monolithic floor / footings aka raft foundations. If in doubt you should seek professional advice prior to ordering. 8.6 The vendor accepts no liability for loss or damages consequential or otherwise arising from handling or use of the goods supplied to the purchaser over and above that which is prescribed in statutory law. Customers are advised that some products may have sharp edges and that installation requires the use of power tools which have inherent dangers of which the customer / installer of the products should make themselves fully aware. 8.7 It remains the customer’s responsibility to ensure that all necessary protective clothing is worn during installation and that safe working procedures are followed. The protective clothing required normally includes but is not necessarily limited to, builder’s gloves (which should be waterproof when handling cement and related products), ear plugs /defenders, goggles, dust mask and safety work boots. If in doubt professional advice should be sought. 9.1 Unless expressly agreed to the contrary, all payments are due prior to dispatch of goods. If a payment is not received or payment is declined, the purchaser acquires no rights nor incurs any liabilities as a result. International shipments sometimes attract local customs and excise duty / brokerage fees which are set by and collected on behalf of their country’s Government. The vendor is not responsible for these charges which must be paid by the purchaser, normally directly to the shipping courier. 10.1.3 The time limit for cancellation is fourteen days starting from the date of delivery, or first attempted delivery, to the customer. 10.1.4 Any refund made due to cancellation by the customer shall be subject to deductions made in respect of order processing, packing and re-stocking - 20%10.1.5 The lowest available shipping cost (which was available at the time of placing the order) will be refunded; any optional shipping costs i.e. for a faster service will not be refunded. 10.1.6 Cost of shipping becomes effective upon creation of the shipping labels. Once the order has been picked and packed, and shipping labels created the 20% deduction referred to in 10.2.3 above will apply. Once the goods have been physically dispatched (collected by the courier) by the courier clause 10.2.4 above will come into effect. 10.1.7 The customer shall remain liable for any taxes, duties brokerage and / or other fees payable in connection with the importation to the customer’s country of delivery. 10.1.8 The customer shall be liable for any costs of shipping, non-recoverable taxes, duties and fees relating to re-patriation of any returned goods.10.1.9 Refunds for returned goods which are due to the customer exercising their right to cancel shall be made within fourteen days of receipt of goods by the vendor provided that the goods are undamaged and in the condition that they were in when originally shipped to the customer. 10.1.10 Any goods due to be returned by a customer exercising their right to cancel as described above must be shipped within fourteen days of cancellation being notified to the vendor. 10.1.11 In the event of a customer wishing to exercise their right to cancel their order and return goods, it will be the customer’s responsibility to pay the return shipping costs directly to the shipping company of their choice for the return of such goods. The vendor will not be responsible for arranging the return shipping. 10.1.12 Ownership of any returned goods shall remain with the customer until they have been safely and successfully received back by the vendor. Any loss or damage which occurs during the return shipping will be at the customer’s risk and the customer is advised that they should take out insurance (normally available through the courier company) if they wish to protect themselves against such risks. 10.2.1 The vendor does not accept returns from non-domestic customers other than at the vendor’s own discretion. 10.2.1 For the purposes of these terms and conditions a non-domestic customer is any one or any organisation who has purchased the goods for the purpose of re-selling or installing them for a third party for commercial gain. Where the third party is a friend or relative of the purchaser who is genuinely organising the supply of goods as a gift of favour such transactions will still be regarded as domestic for the purpose of implementing this returns policy. 11.1 The vendor reserves all rights to the content of this website. Unauthorised use of any of this website’s content will be treated as an infringement of copyright. 12.1 It is the vendor’s policy to try and resolve any disputes on an amical and mutually agreeable basis. Should the purchaser feel that it is necessary to raise a dispute or complaint this should be addressed to the vendor in writing, preferably by e-mail to support@absorders.com. 12.2 In the event that a mutually agreeable solution cannot be found the purchaser has recourse to the dispute resolution service (and the buyer protection afforded by) their credit card issuing company and / or PayPal depending upon the payment method used. 13.1 In no case shall Advanced Basement Solutions Ltd, our directors, officers, employees, affiliates, agents, contractors, interns, suppliers, service providers or licensors be liable for any injury, loss, claim, or any direct, indirect, incidental, punitive, special, or consequential damages of any kind, including, without limitation lost profits, lost revenue, lost savings, loss of data, replacement costs, or any similar damages, whether based in contract, tort (including negligence), strict liability or otherwise, arising from your use of any of the service or any products procured using the service, or for any other claim related in any way to your use of the service or any product, including, but not limited to, any errors or omissions in any content, or any loss or damage of any kind incurred as a result of the use of the service or any content (or product) posted, transmitted, or otherwise made available via the service, even if advised of their possibility. Because some states or jurisdictions do not allow the exclusion or the limitation of liability for consequential or incidental damages, in such states or jurisdictions, our liability shall be limited to the maximum extent permitted by law. 14.1 In the event that any provision of these Terms of Service is determined to be unlawful, void or unenforceable, such provision shall nonetheless be enforceable to the fullest extent permitted by applicable law, and the unenforceable portion shall be deemed to be severed from these Terms of Service, such determination shall not affect the validity and enforceability of any other remaining provisions. 15.1 The contract may be determined by the vendor by implementing the cancellation and returns policy and successfully returning the goods as described in section 10. above or by the vendor by refunding the purchase price (or the portion which is contractually due) prior to shipping the goods or at any time thereafter. 15.2 The obligations and liabilities of the parties incurred prior to the termination date shall survive the termination of this agreement for all purposes. 16.1 The failure of us to exercise or enforce any right or provision of these Terms of Service shall not constitute a waiver of such right or provision. 16.2 These Terms of Service and any policies or operating rules posted by us on this site or in respect to The Service constitutes the entire agreement and understanding between you and us and govern your use of the Service, superseding any prior or contemporaneous agreements, communications and proposals, whether oral or written, between you and us (including, but not limited to, any prior versions of the Terms of Service). 16.3 Any ambiguities in the interpretation of these Terms of Service shall not be construed against the drafting party. 17.1 These Terms of Service and any separate agreements whereby we provide you with goods and / or services shall be governed by and construed in accordance with the laws of England and Wales.